Finding an ideal home in Leicestershire, whether it’s a one-bed apartment in the cosmopolitan city of Leicester, a semi-detached home in one of the county’s delightful market towns or a cottage in the countryside, there’s no shortage of opportunities. But before anyone attempts to get on the property ladder, they must first answer the question: should I buy or rent?  says Jackie Woodward, sales manager at Jelson Homes. “Obviously, there are some benefits to renting, but if choosing to go down that route, there’s the possibility of never owning a significant asset once the mortgage is paid off. The “bonus” then, of course, is that home owners can live there rent-free! “Sometimes, mortgage repayments come to less than paying rent, depending on the property purchased, so buying a home could in fact cost less in the long term. But don’t consider anything unless you can really afford it. 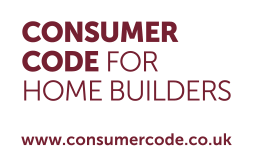 “If a prospective home owner has the savings (or a gift from the Bank of Mum & Dad) to put down a deposit, and can meet the monthly mortgage payments, the wisest choice would be to purchase, safe in the knowledge that they are on their way to joining the ranks of the 14 million or so owner-occupiers who live in England today. “First-time buyers can also gain a foothold on the property ladder through the Government’s Help to Buy scheme, which, since being introduced five years ago, has assisted more than 300,000 people to make a purchase and is very popular with Jelson buyers. “The benefits of home-ownership certainly stack up. For a start, remember that the monthly mortgage payments are going towards buying a home and not lining the pockets of a landlord – and it’s nice to know that there could be profits to be made when house prices rise. “If the rental route appeals, there is the chance that the landlord may ask tenants to move out because the landlord wants to sell. “But in a home, there’s no such fear and, of course, buyers can live by their own rules. No need to seek a landlord’s permission to keep a pet or to ask whether a renovation or change of wall colour can be made. “If a new build property is preferred, Jelson has developments all over Leicestershire and with the option to personalise certain aspects of the home before moving in, such as kitchen units, carpets and tiles.